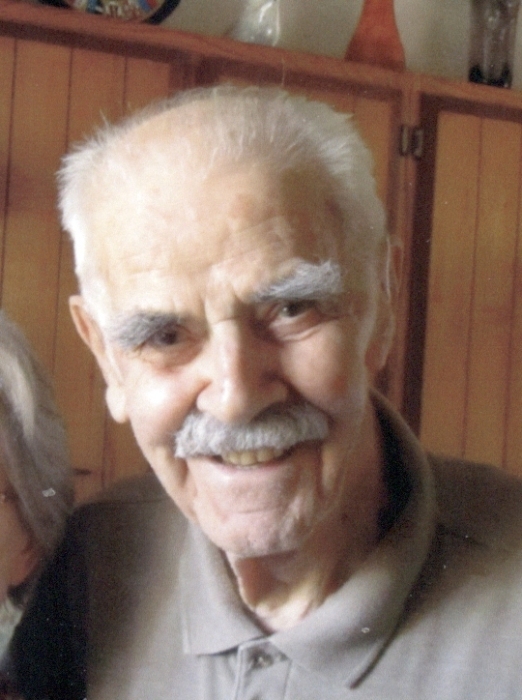 Obituary for Joseph Anton Tschirky | Hillside Funeral Services Ltd.
Tschirky, Joseph Anton (1922-2018) - Joseph passed away peacefully at Au Chateau in Sturgeon Falls on Thursday November 29, 2018 at the age of 96 years. He was the beloved husband of 50 years to Martha Tschirky (nee Baumgartner). Dear father of Susan (Daniel Tomchyshyn) and Paul (Ashly). He was a special grandpa to Albert, Gregory, Philip, Peter and Ethan. He is also survived by his sister Silvia Walser of Switzerland. Prior to retirement in North Bay, he worked for the Ontario Community of Social Services for the betterment of the Homes for the Aged in the North East Region for many years. Joseph was a member of the Knights of Columbus 4th degree Albanel Assembly and 3rd degree with the Fr. Michael Cundari Council, former president of the Multi Cultural Society in Sudbury as well as a former member of the Sudbury Rotary Club. Family receiving friends at HILLSIDE FUNERAL SERVICES, 362 Airport Rd., on Monday December 3rd from 2 until 4 and 6 until 8 pm. A mass of Christian burial will be held at Holy Name of Jesus Church on Tuesday December 4th at 11 am, Father Daniele Muscolino officiating. Donations to Holy Name of Jesus Parish or Knights of Columbus Holy Name in memory of Joseph will be gratefully acknowledged by his family.